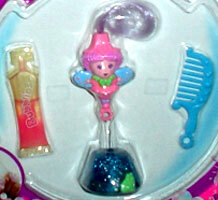 "You can blow bubbles with my hidden wand! 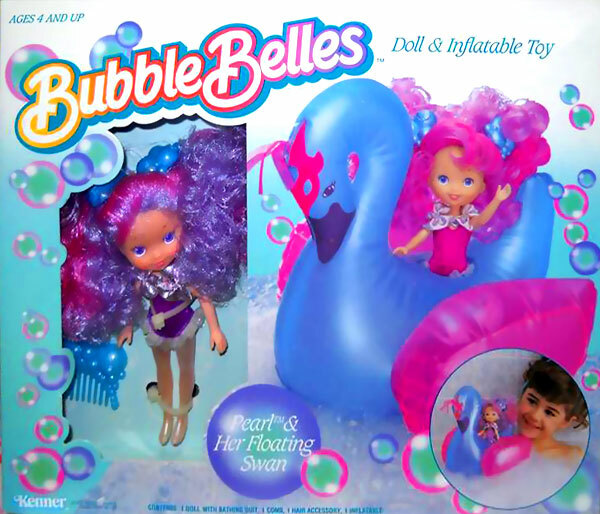 Bubblins make bubbles just fun!" 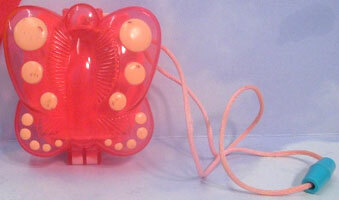 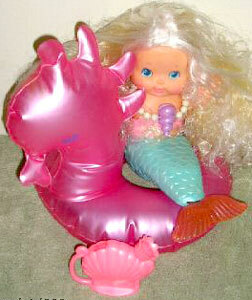 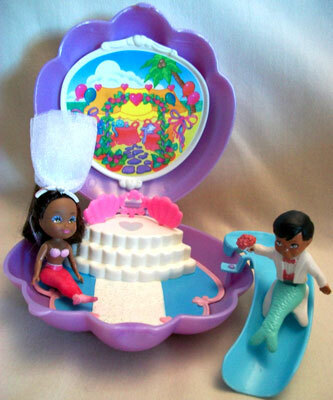 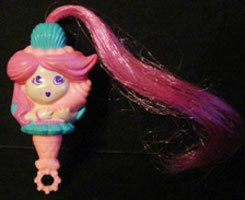 Bubblins were produced by Hasbro in 1990-91. 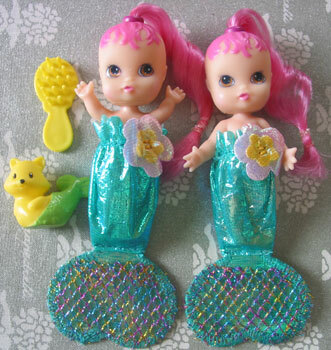 They were a small series of tiny dolls with bubble wands on the end of their feet. 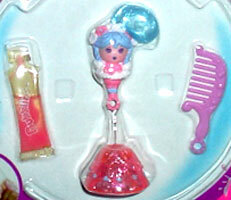 When pulled out of their skirts, which held the bubble liquid, the dolls were ready to blow bubbles. 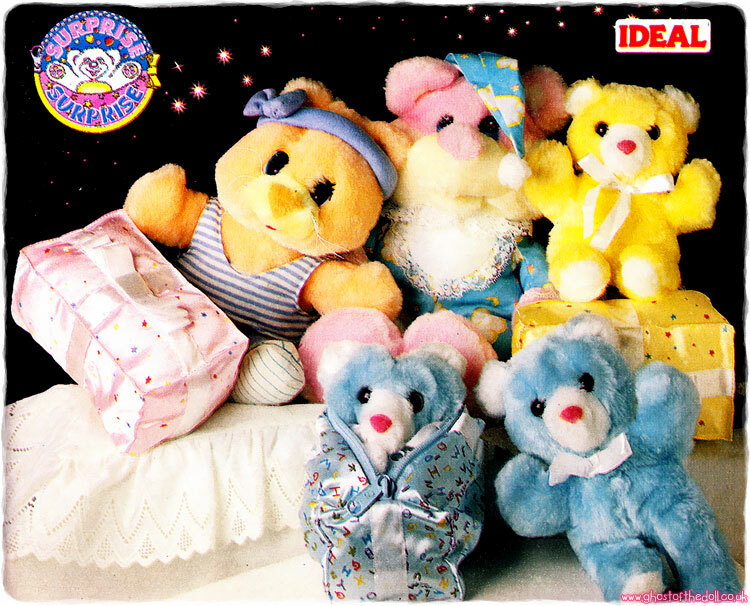 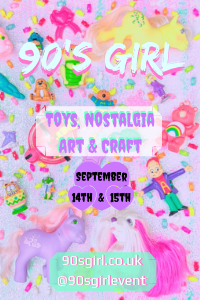 Images on this page thanks to Lara & Jana, Zuse, Andrea's Eighties, poniesofdooom, Ponyfan, Lovehaze, Miss_Leonie and eBay seller Nurse Glory's Pampered Ponies Inc ! 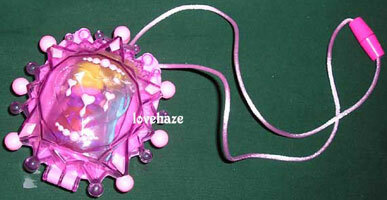 View all Bubblins on eBay.com or eBay.co.uk ! 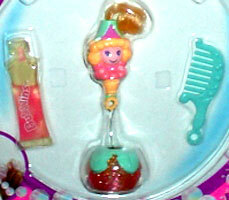 "In the magical kingdom of Bubblelot, live the beautiful Bubblins. 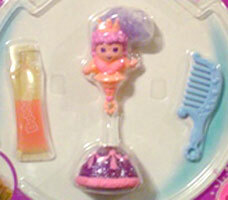 Leave your magical bubbles everywhere! 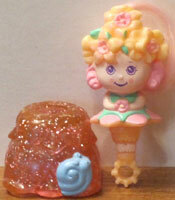 Is a precious wish that will someday come true!" 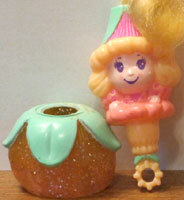 In Bubblelot, the Bubblins are very busy creating magical "wish-come-true" bubbles for everyone... especially you!" 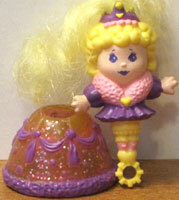 There were six individually sold Bubblins, measuring 2 inches high. 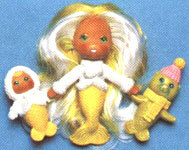 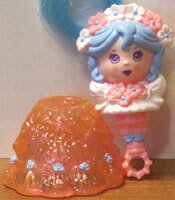 Each one came with a comb, one bottle of bubble liquid and removable skirt where the bubble liquid was stored. 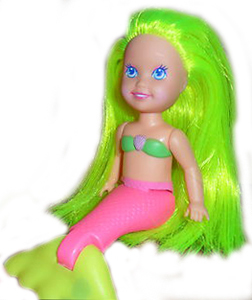 Some dolls skirts and body colours differed slightly from the publicity image above. 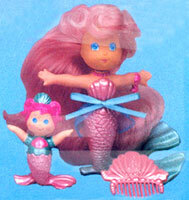 "In the magical kingdom of Bubblelot, live the beautiful Bubblins. 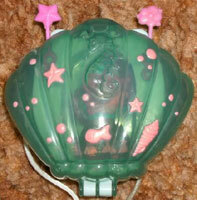 Their special Jewel, Butterfly & Seashell cases can hold every Bubblin and their secret wishes." 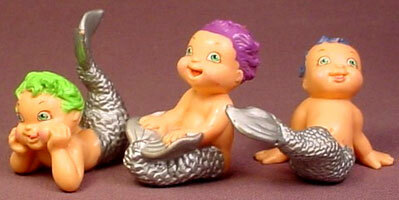 There were three Bubblins sold with cases and worked in exactly the same way as those above. 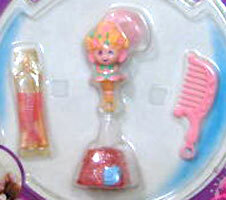 The doll fitted inside her case, which had a cord so it could be worn or carried around. 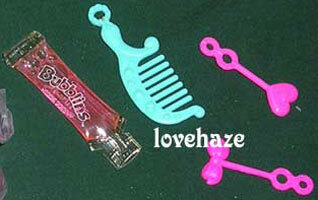 They each came with a comb too.